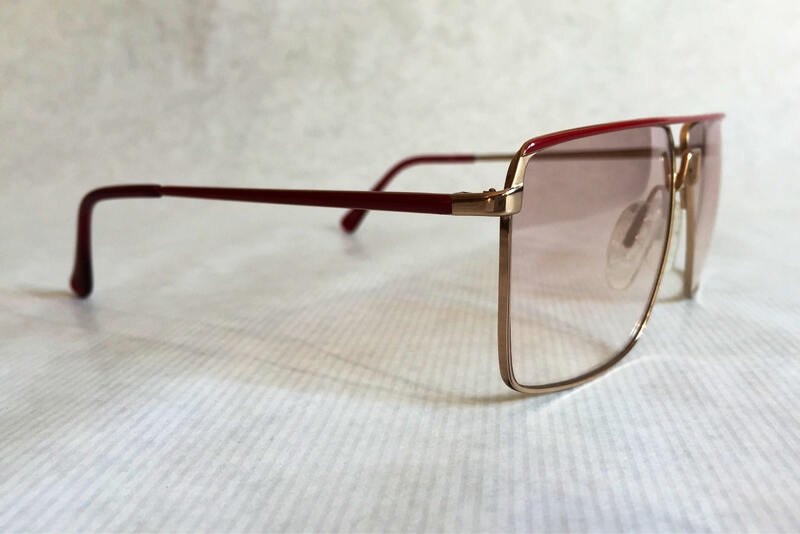 This frame is new, unworn and in flawless condition. 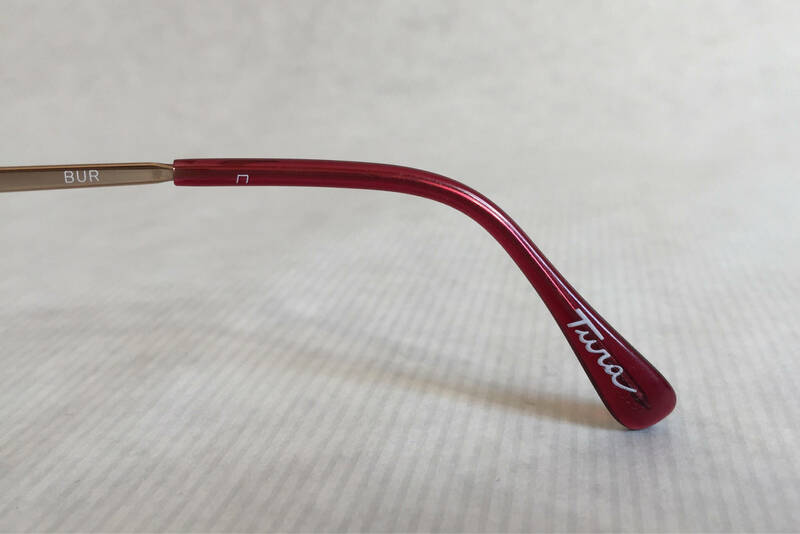 Tura is a legendary manufacturer based in the USA. 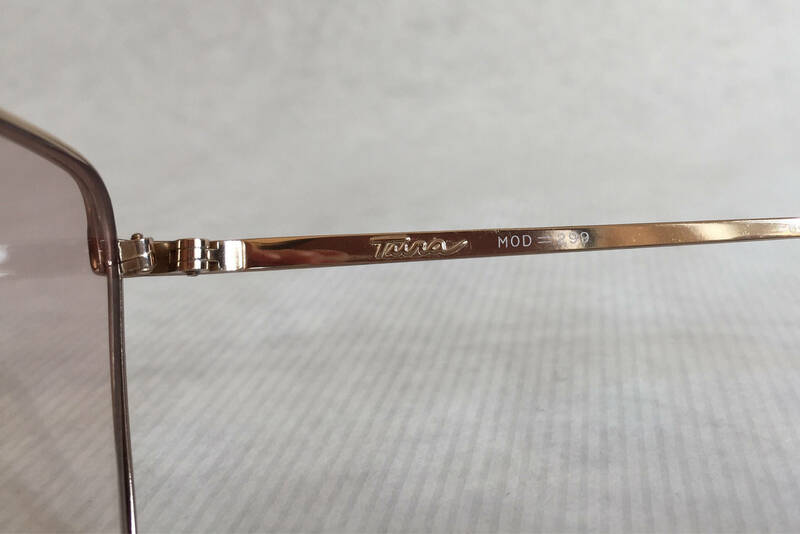 As one of the first ones, Tura imagined eyewear as a fashion accessoire rather than a medical remedy, creating lines that would match different styles and outfits. 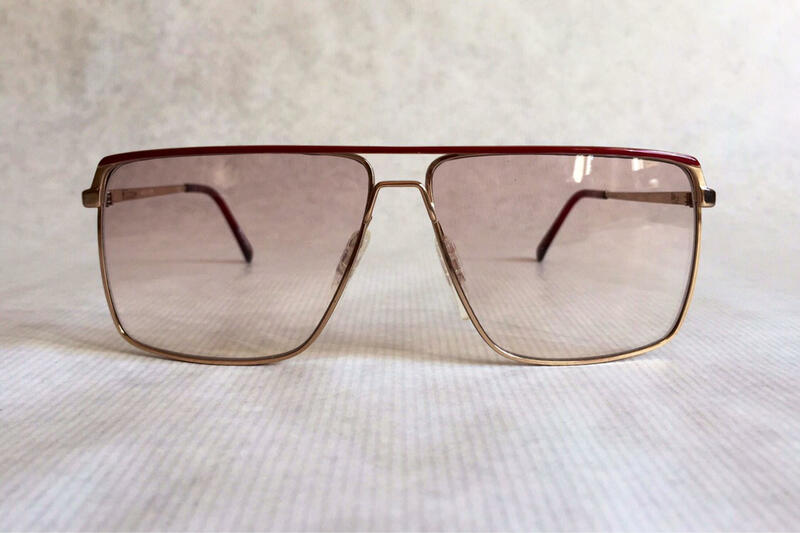 In the 1960s, Tura was the first brand to licence a high fashion house, creating amazing sunglasses for Christian Dior. 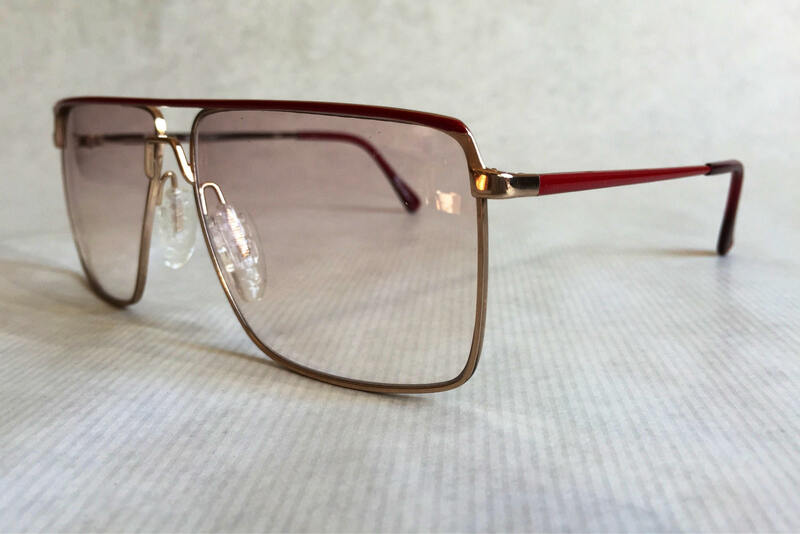 When the Dior licence was bought by Wilhelm Anger from Optyl/Carrera in Austria, Tura continued with their own bold and very distinct creations. 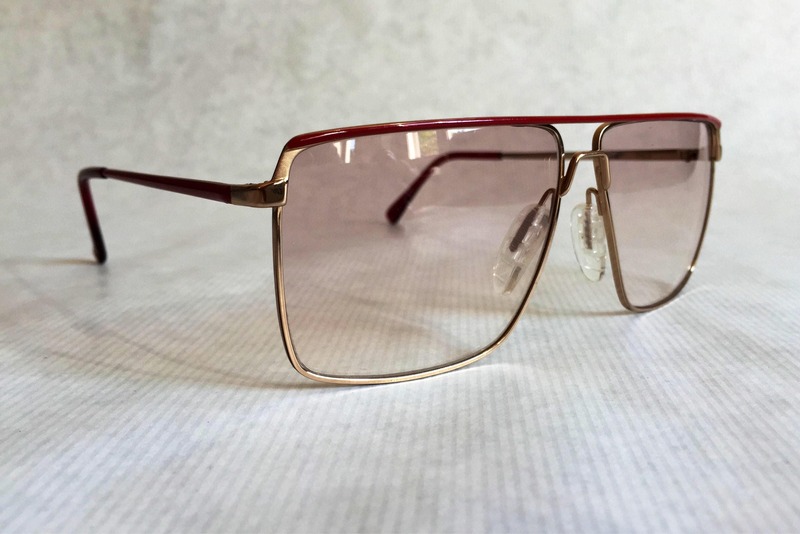 Very similar to the Tura Bruno Mars is wearing in the 24K Magic video, the 299 burgundy features an astonishing geometry with a high double bridge and an absolutely unique lens shape. Very easy to wear, a true compliment to the face that wears it. 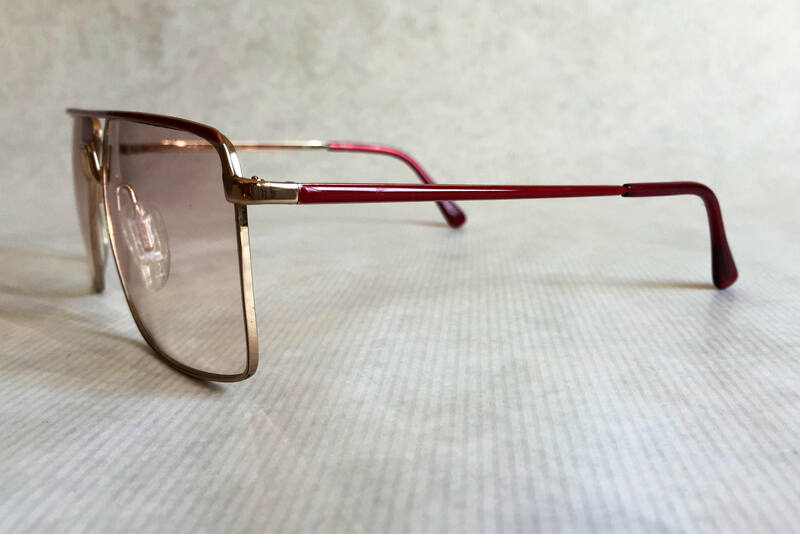 gold frame with burgundy details. Lilac gradient lenses with 65% UV protection.